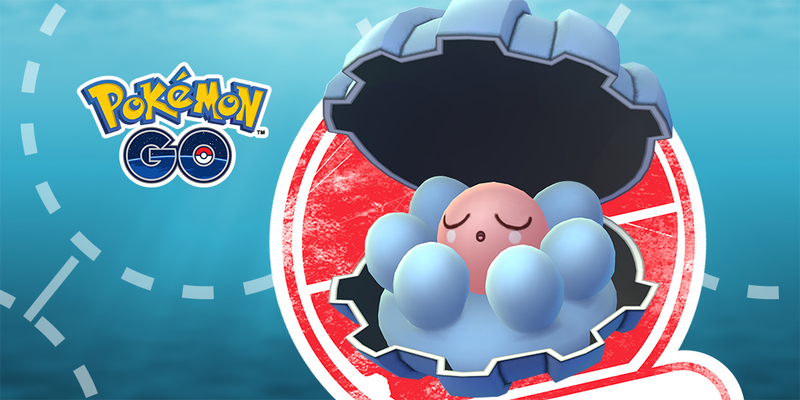 Despite already flirting with gen 4, Pokemon Go is also still adding new Pokemon from gen 3 to the game – and one of the later gen 3 Pokemon additions it water-type Clamperl and its evolutions Huntail and Gorebyss. Originally Clamperl was only available via special research events as part of a limited-time event, but it’s now appearing out in the wild, so if you miss that event, you’ve got a chance to catch it. Clamperl evolution goes two ways, with two Pokemon it can evolve into: Huntail and Gorebyss. It doesn’t evolve into one and then the next – it evolves into one or the other, and as experienced trainers in Pokemon Go will know this sort of thing varies greatly for Pokemon like this in the game, with some evolving in specific ways, some random and some requiring detailed evolution chart explanations as with Eevee Evolutions. Over in the main traditional Pokemon video games, the evolution of Clamperl is determined by the item it’s holding when you trade it to trigger the evolution. Pokemon Go has of course got other Pokemon that can evolve in multiple ways including Eevee Evolution, and it’s been handled in different ways depending on the Pokemon. For Clamperl, it’s random. Clamperl has two evolutions – Huntail and Gorebyss. Both are still water-type Pokemon, but these evolutions have slightly different styles – Huntail has big ol’ teeth and looks like it’s a hunter that can swallow prey with ease, while Gorebyss is a cute-looking pink Pokemon that seems to take a slightly less brute-force approach to catching its prey. In Pokemon Go, evolving Clamperl will cost 50 Clamperl Candy. The evolution you get out of Huntail and Gorebyss is completely random… and as trainers who worked to get both of the Wurmple evolutions will know, that might mean the process of getting both Huntail and Gorebyss ends up being a little bit painful for some. Your best bet for Clamperl evolution is simply to have abused the event that added Clamperl to the game, catching as many of this creature as possible. If you missed the event, the same principle applies in the wild, though you’ll of course see encounters far less often and will have to deal with that. Each time you encounter Clamperl, make use of Pinap Berries to maximize the amount of candy you get with each catch. If you want a better chance of encountering Clamperl, keep an eye on Pokemon Go Field Research Quests and Rewards as well, as rarer Pokemon like this often show up as quest rewards here and there. Quests change every month.